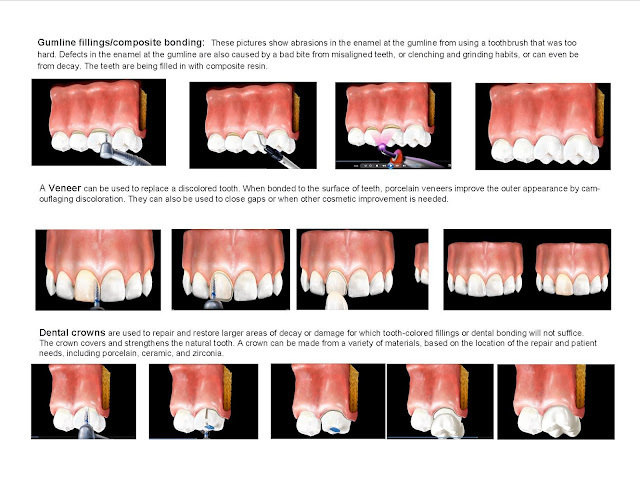 1st row: The top illustrations show abrasions in the enamel at the gumline from using a toothbrush that was too hard. Defects in the enamel at the gumline are also caused by a bad bite from misaligned teeth, or clenching and grinding habits, or can even be from decay. 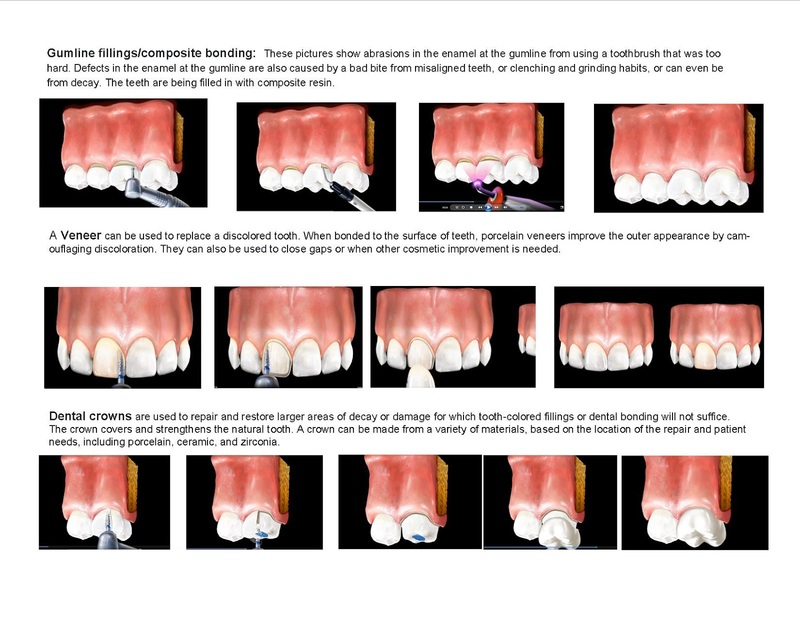 In the top illustration, the teeth are being filled in with tooth-colored filling, known as composite resin. 2nd row: When bonded to the surface of teeth, porcelain veneers improve the outer appearance by camouflaging discoloration. They can also be used to close gaps or when other cosmetic improvement is needed. 3rd row: Dental crowns are used to repair and restore larger areas of decay or damage for which tooth-colored fillings or dental bonding will not suffice. The crown covers and strengthens the natural tooth. A crown can be made from a variety of materials, based on the location of the repair and patient needs, including porcelain, ceramic, and zirconia.